Countryside Key townhouse offering 2 bedrooms and 1.5 baths. The first floor of this unit provides a spacious living area, powder bath, kitchen and screen enclosed lanai. Pond views are enjoyed from the lanai where you will also find a large storage closet. Upstairs there are two spacious bedrooms with laminate wood flooring and a large full bath. Entire interior is freshly painted! The Countryside Key community is gated and features a resort style pool area, tennis courts and boat/rv storage. This is a very pet friendly community! Two pets allowed - no weight limit! Conveniently located in walking distance to the newly renovated Woodlands Square shopping plaza featuring AMC 20 Theater, Craft Street Kitchen, Earth Fare, Ulta and more retailers. 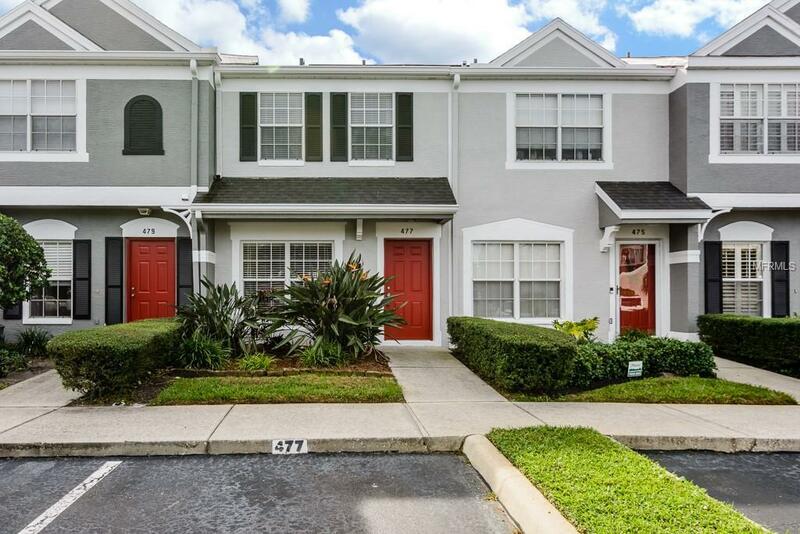 Only minutes to Tampa, Gulf Beaches and downtown areas. Immediate occupancy available. Location, Location, Location!